Little Bitte at Eat Drink RI Grand Brunch! 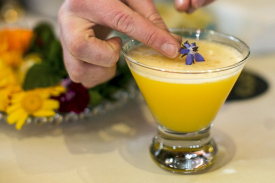 Little Bitte garnished the Clement Daiquiri with a borage blossom from Indie Growers! Proceeds benefit the Rhode Island Philharmonic Foundations in Learning and Exploration.